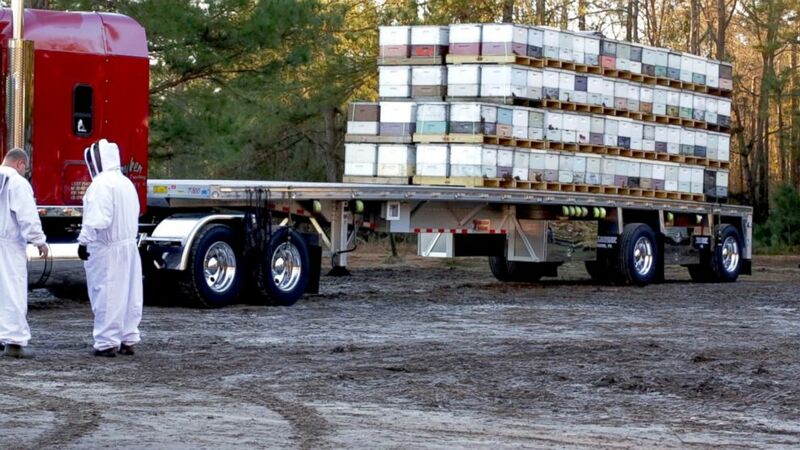 Commercial bee farmers truck bees across the country to help farms. It can be hard to see how important honeybees are to daily life. Just by looking at fully grown oranges, apples and almonds, the honeybee wouldn’t necessarily get marquee credit for their growth. But, bees pollinate around 70 percent of the world’s crops, according to Cornell University, and without them, there’s no easy way to pollinate the fresh foods that need to be grown and harvested. 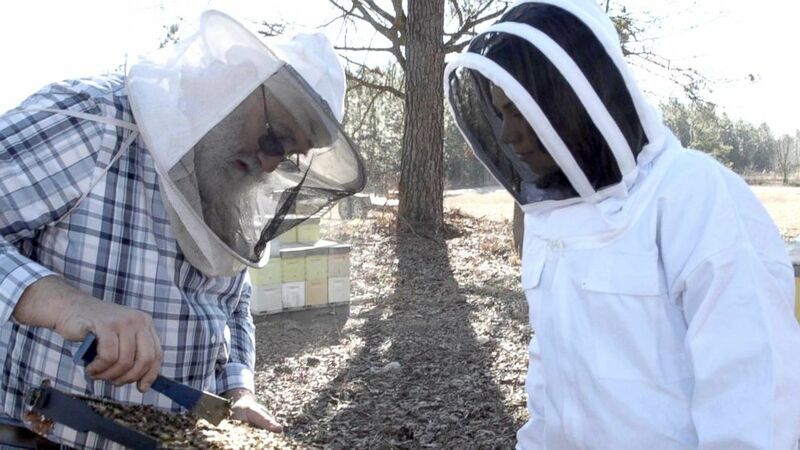 (David Miller) Beekeeper Chuck Kutik with Ginger Zee on his farm in Manning, South Carolina. The vast farming operations around the country keep bees in high demand almost year-round and it’s up to commercial bee keepers to make sure farmers have their pollinators. One of those beekeepers, Chuck Kutik, rents his bees out across the country, throughout the year. He said there's one crop that demands more bees than any other -– almonds. In the winter, Kutik, and commercial beekeepers throughout the country, send the majority of the nation's commercial bees to pollinate almonds blossoms. (David Miller) Bees pollinate around 70 percent of the world's crops and without them there's no easy way to pollinate the food we need to harvest. Kutik loads his bees on flatbed trucks that hold 112 palates of beehives and sends them on a multi-day, cross-country journey. (David Miller) Before the bees arrive at the almond farms in California, the trees are bare, but after several weeks, they begin to blossom in bright white flowers. Truck drivers have to continue moving throughout the day, only stopping at night, in order to maintain cool temperatures for the bees. If it’s too warm they will be tempted to fly out of their hives. The bees will spend several weeks pollinating the bright white almond blooms. When they are done, they will be taken to the next farm, to a new crop on the east coast. 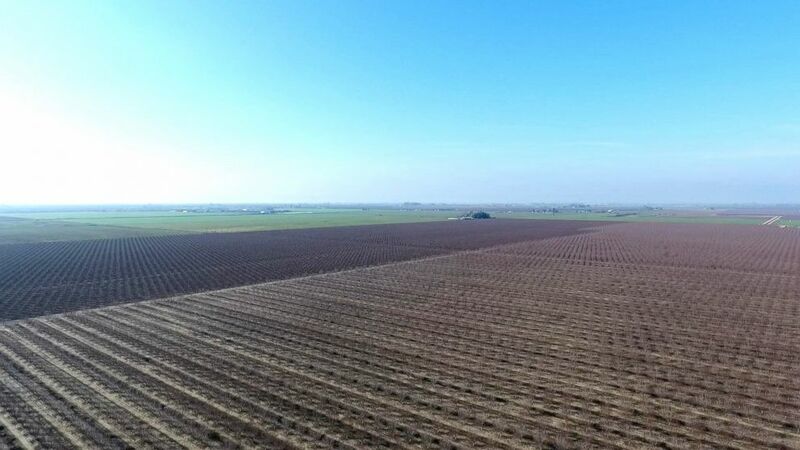 Almond farmer and beekeeper Ryan Cosyns tells us that the price of pollination rental for almonds has nearly doubled since 2005, which is directly related to the increased acreage devoted to almonds. A single hive from Kutik’s farm rented for as much as $200 in 2017, to a California almond farmer. (David Miller) Beekeeper Chuck Kutik loads his bees on flatbed trucks and sends them on a multi-day cross country journey to reach California almond farms. But as the demand for bees has gone up, keeping honeybees healthy has also become more and more of a challenge. According to the USDA, Between 2015 and 2016 the nation's beekeepers lost 44 percent of their colonies. 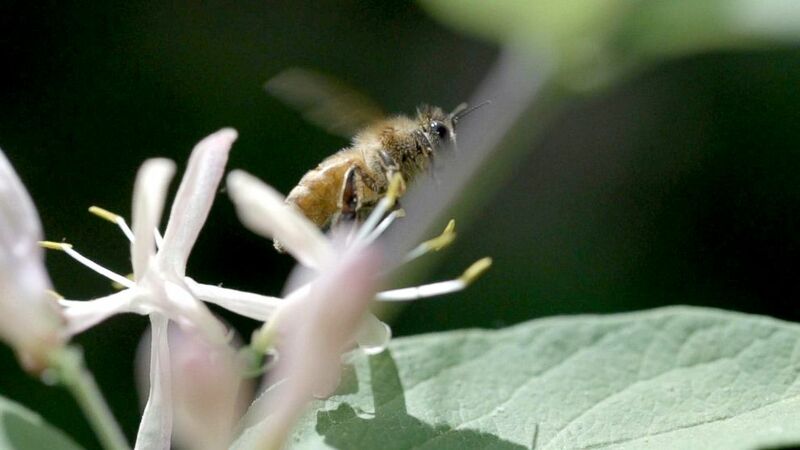 "The consensus in the scientific community now is that it's not any single factor that is driving losses of bees," said Scott McArt, an associate professor in the Department of Entymology at Cornell University. "It's multiple factors." (David Miller) Beekeepers make new hives by taking one that is thriving and splitting it into two. He said those factors can include pesticides, insecticides, loss of habitat and climate change. However, as honeybees are dying the overall population of bees has gone up. "This is something that a lot of people don’t necessarily understand," said Emma Mullen, an associate in the Department of Entymology at Cornell University, "because if you do track the number of colonies that are in New York or the U.S., they do tend to increase. So what they’ll do is they’ll split their colonies and in that way they can continue to replace the colonies that were lost and grow their operation." In the springtime, beekeepers can take a hive that is thriving and split them, creating two from one. 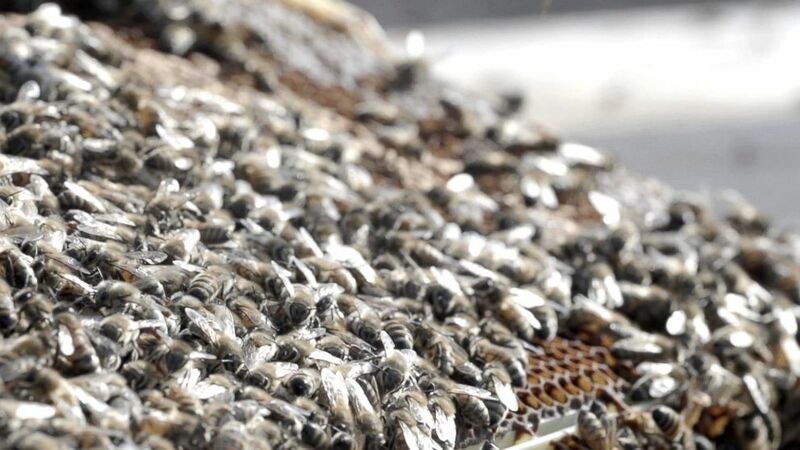 Kutik predicted he would create 6,000 new hives in the spring. When the bees return home to Kutik’s farm, there is still more work to be done; that's when honey production starts. But farmers in the U.S. cannot produce enough honey to meet the total demand across the country. 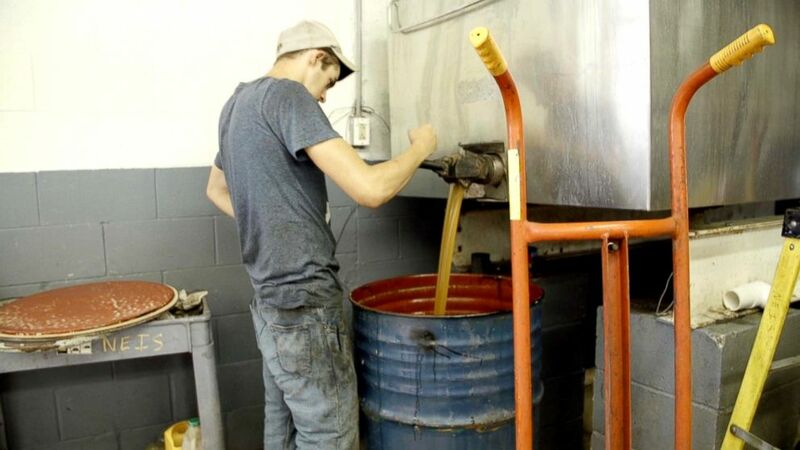 “We only produce, I don't know what it is, 120 million or 140 million pounds of honey in the U.S.," Kutik said. "I think the consumption is 300 [million pounds]. The consumption is way more than we can produce." (David Fazekas/ABC News) At Chuck Kutik's farm in New York, his bees stay home in the summer to make honey. With so much work to be done by American beekeepers and their bees, can the industry keep up with demand? In this episode of “Food Forecast,” Ginger Zee tags along the route of the bees to the almonds groves of California and talks to the beekeepers along the way. For more stories from ABC News' "Food Forecast" series, download the ABC News App on iOS or Android.